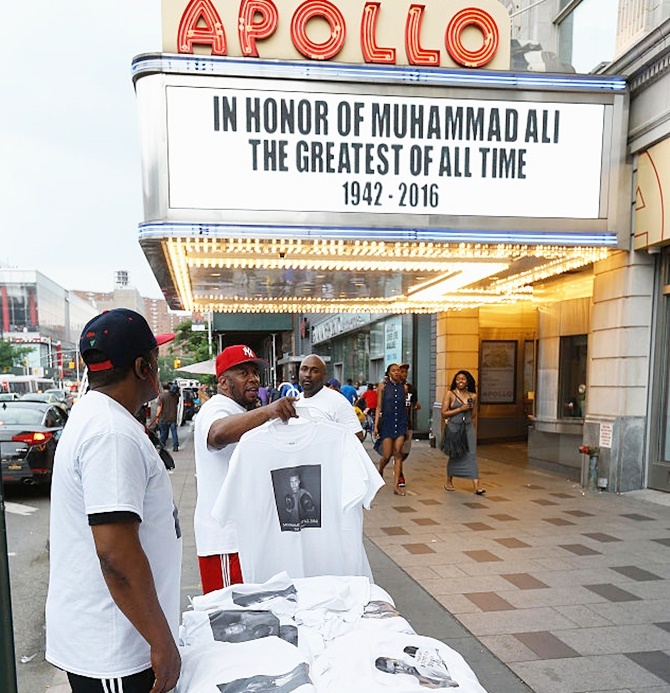 IMAGE: Tribute is made to the late Muhammad Ali on the Apollo Theatre marquis as the US mourns. Photograph: John Lamparski/Getty Images. IMAGE: Hollywood actor Will Smith.